Moon Games Casino was founded in 2013 and is under the Cassava Enterprise Limited management. The casino has over 500 casino games and is licensed under the United Kingdom and Gibraltar jurisdictions. 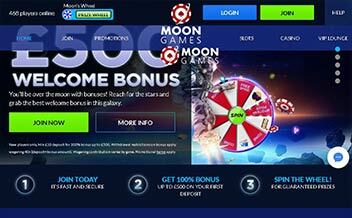 Moon Games Casino offers players the best gaming experience. Players get to access the casino games like slots, table games and live games on mobile, desktop and tablet devices. New players get to enjoy attractive bonuses and existing clients also enjoy promotions and there is also a VIP club for players. The casino offers a variety of progressive jackpots to ensure that players get a chance to have a good gaming experience and at the end make a good payday. The progressive jackpots available include; Millionaire Genie and Valentine’s Victory. These progressive jackpot games have made millionaires over the years. Moon Games Casino offers a variety of online slots. Gaming providers like NetEnt provide slot games with different kinds of themes to make the gaming experience more adventurous. The slot games available are; Blood Suckers, Starburst, Case Stampede, Bloodshot and Jungle Spirit among others. The casino also offers table games to ensure that players get to enjoy the casino experience. The table games have great a view and players get to enjoy the casino experience in 3D. The games available are; Baccarat, Blackjack, Deuces Wild, and Super Stakes Blackjack among others. 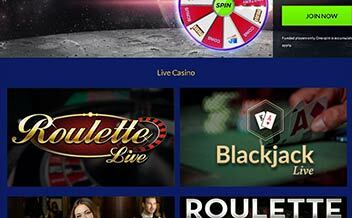 Live dealer games at Moon Games Casino are provided to ensure that players get to enjoy the real casino experience without having to visit the actual land-based casino. Live dealer games include; Caribbean Stud Poker, Live Roulette, Live Blackjack, Live Baccarat and Casino Hold’em among others. The casino offers a very attractive welcome bonus that is really hard to pass. New players get to enjoy a 100% bonus for up to £500 on the first deposit that they make. The first deposit bonus attracts a wagering requirement for up to 40x before making withdrawals. The welcome package is not quite over yet. New players get to enjoy a 50% bonus for up to £500 when they make a second a deposit into their account. This second deposit onus attracts a wagering requirement of 40x before making withdrawals after a win. New players also get to enjoy a third deposit bonus when they open an account. The third deposit bonus is a 50% bonus for up to £500. The wagering requirement for this bonus is 40x. There are no bonus codes needed to claim these bonuses. The casino constantly introduces new promotions and bonuses in order to attract new players and also get to maintain existing players. Therefore, for frequent players, it is important to be up to date about casino’s news. This section has been kept aside to keep Moon Games clients updated. Moon Games Casino has the best software. The casino games on any platform load fast to ensure that players get to enjoy the casino experience. The casino games available are many to cater for its vast client base, the software providers have ensured that players get to enjoy different kinds of slot games as they all have different kinds of themes. Software providers include; Cassava, NetEnt, Random Logic, Bally Technologies, IGT, Williams Interactive, Eyecon and Barcrest among others. Players get to use these banking methods at the casino: Visa, MasterCard, Wire Transfer, Neteller, PayPal, Paysafe Card, and Entropay. Moon Games has a lot of restricted countries. Some include: Afghanistan, Albania, Armenia, Azerbaijan, Belarus, Bosnia, Belgium, Bulgaria, Czech Republic, Congo, Croatia, Denmark, France, Hungary, Indonesia, Israel, Latvia, Macedonia, Moldova, Russia, Slovakia, Spain, Ukraine, Iraq, Cuba, Croatia, Libya, Dominica, Kosovo, the United States.  Moon Games Casino is accessible on various platforms. 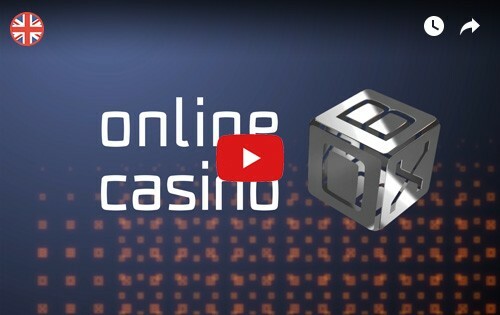 Players get to access the casino on a desktop, mobile and tablet devices. The casino also supports main web browsers like Mozilla, Chrome, Safari and Opera Mini. The casino’s website has a good design that makes it be user-friendly. Players get to access the website with ease, the games load faster and they are also able to access casino’s news like promotions, customer support and terms and conditions. The casino has always put the interests of gamers first. Players can be assured that their money and identity are kept safe using an SSL encryption. The casino is also licensed under the United Kingdom and Gibraltar jurisdictions. The casino games have also been proven to be fair by ECOGRA, players can, therefore, be assured that the casino is legit. The customer support offered by Moon Games is the best. The casino support staff are the best who get to talk to players and answer any queries they may have. The casino offers access to email, live chat, and telephone number. VIP members get access to a VIP players hotline number. The casino being founded over four years ago, it has ensured that every player gets to enjoy the casino experience. The vast list of casino games from slots to table games every player will be able to find their “poison” here. The good customer service available has also put the casino to be among the best online casinos in the world. 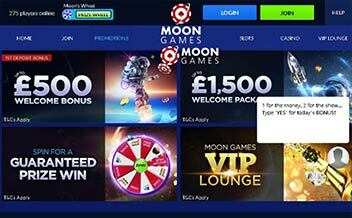 Moon Games Casino has covered every player’s needs by ensuring that it offers many options for banking like PayPal. If you are looking for a casino that will change your gaming experience and give you a good payday with impressive jackpots, then look no further because Moon Games Casino will do that for you. 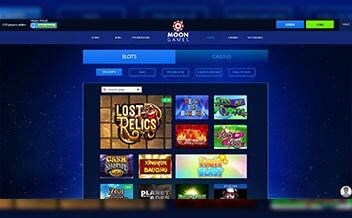 Join Moon Games Casino Today!